This beautiful Silver Panda contains one full ounce of .999 fine Silver! 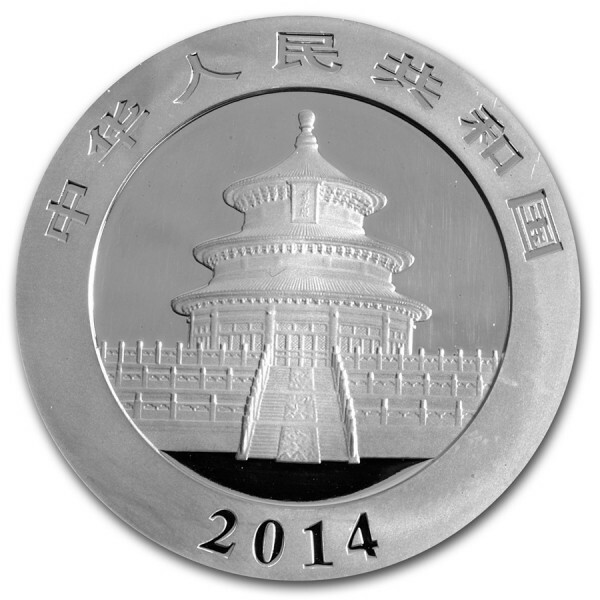 The 2014 coin features the latest design in the series, originally minted in 1983, issued by the People's Republic of China that changes design annually. Chinese Pandas are one of the world’s only bullion coins to change designs each year! 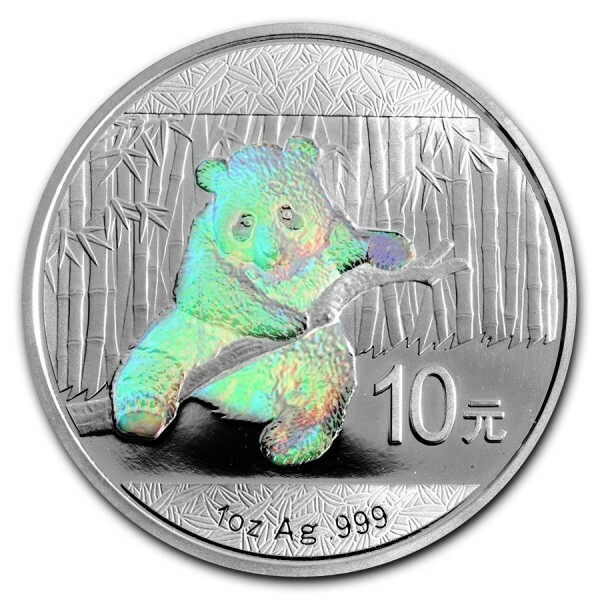 The 2014 coin features a panda playing on a tree branch against a backdrop of bamboo. The reverse shows the Hall of Prayer for Good Harvests at the Temple of Heaven in Beijing. This new 1 oz Chinese Silver Panda coin is in Brilliant Uncirculated condition and comes in a plastic capsule to protect its beautiful design. Note: The hologram on this coin was applied by an experienced third party company.